Shaolin kungfu Training School in Shaolin Temple: information on schools in Shaolin Temple, Wushu Guan. Training directly in the Shaolin Temple with private kungfu teachers. 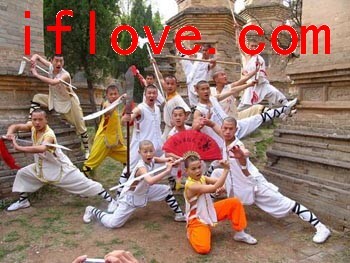 Everyone of you, who thinks seriously of staying a long time in Shaolin or Dengfeng, should visit the different schools. Before you decide for a specific school you should bargain very intensive, leave the school and return after a few days. It can save hundreds of dollars! Never prepay money for a longer period. If you become ill or have no more desire for training, you won’t get your money back. Therefore consider very well and do not try to negotiate from your home countries!!! Unfortunately only a few Chinese people speak English language (in our school 1 of 2000 chinese people), so communication will be very difficult. Arriving and looking for a school can be difficult too, because no chinese (taxi driver too) don’t know street names. Taxi driver will drop you off at a kung school of his friend! Therefore the master trainer Xie Xu Yong and we offer trusted Shaolin Kung Fu training trips with english speaking trainers and fair prices. The Wushu Guan survived the destruction too, because it is a national instituion on the one hand and on the other hand it was built in close co-operation with the abbot. The Wushu Guan is a modern training center with an expanse of 2,900 square meters, which was built mainly for foreigners. Further the Wushu Guan is a 2 – 3 stars hotel complex with an attached restaurant. Training for foreigners is practiced in a large training hall, which was rebuilt in summer 2002. An attached hotel (rooms with air conditioning system), a restaurant and a souvenir shop enrich the offer. Daily changing groups of foreigners train here 4 hours a day, this is scarcely half of the training time in other schools. Of course Chinese train here too, but the size of the training hall is too small for 50 students. If you have a lot of money and you don’t want to miss all conveniences like a western toilet and air conditioning system and want to stay there only for a short time (about 2 weeks), the Wushu Guan should be OK.
At the end of your education you get a certificate with a signature of the “monks”. Once we looked on such an exam. It was only show and the Chinese coaches laughed at the very poor performances of the foreigners. Recently it is possible for foreigners to train directly in the Shaolin temple. Many foreigners feel the desire learning Kung Fu in the Shaolin temple together with the monks, who are leading (in most cases) their own Kung Fu school. Those monks order one of their coaches/pupils to teach foreigners Shaolin Kung Fu in an abandoned part of the temple. The foreigners are satisfied, because they are training directly in the Shaolin temple and the monks are happy of getting US Dollars. When we showed our interest in Wushu during an inspection of the Shaolin temple, we immediately got the attention of 3 Kung Fu students, who wanted to show us a small demonstration. These students wanted to recruit us for their wushu school. The students were from the school of Shi Yan Lu, the coach of the monks, additionally, other schools also train directly in the temple. If you are interested in training, simply go into the Shaolin temple and in front of the Cangjing pavilion on the left side of the temple, you’ll cross this passage (Kung Fu students are often waiting for foreigners here). Notice: Training in shaolin temple is exactly the same like in one of the numerous other schools. The trainer won’t be a real shaolin monk! Training facilites are worse. Acrobatic elements can’t be learned under these conditions very well and in summer during rain training is frequently cancelled. The coaches are moderately motivated and rarely the monks drop by, e.g. Shi Yan Lu and give personal training. Further training time is reduced (approx. 4-6h). The expanses ONLY for training in the Shaolin temple are approx. 3000 Yuan or 300 US$ for training. The accommodation and eating take place outside of the Shaolin temple. There is another possibility learning Shaolin Kung Fu. You look for a private coach. This has an advantage so that the costs are not that high and if you are lucky your private teacher organises an inexpensive accommodation for you too. Whether single training or goup training is more effective is on your decision. Some foreigners engaged a private teacher and are completely satisfied, at any case it is an good alternative. How will I find a private teacher, you ask? It is simple, you take a photo of a monk, go into the Shaolin temple and ask anyone, where you can find the man on the photo, and that you want to learn Shaolin Kung Fu. He won’t know him of course (and who cares? ), but he’ll often ask you if you want to learn with him. Bargain hard and the next day training will start. BUT you don’t know, if this man is a real monk not to mention his knowledge about shaolin kung fu. 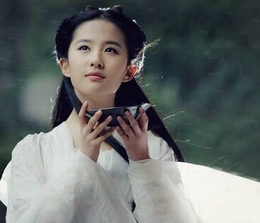 There is a large number of schools, which had established in Shaolin and now moved on to Dengfeng or Zhengzhou. Most of these schools are poor equipped and in most schools no foreigner trained before. The chinese groups often train in small places in the mountains or on the yard: If you like a smal or a big school doesn’t matter, but we recommend visting different schools and watch the training a few days and before making your decision. Good luck, guys!